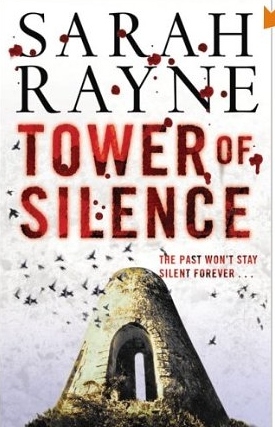 There were things at Teind House that strangers must never find; things that must be kept concealed from the prying world at all costs… Selina March has lived in the remote Scottish hamlet of Inchcape, with its mysterious Round Tower , for nearly fifty years. Brought up by elderly relatives, long since dead, she now lives alone, shunning the outside world as much as she can. But when she reluctantly accepts a paying guest, Selina’s secluded life will change for ever. Crime writer Joanna Savile has come to Inchcape to research her latest novel by interviewing inmates at Moy, the asylum for the criminally insane situated nearby. Her secret aim is to question former child murderer, Mary Maskelyne, Moy’s most infamous patient. Joanna’s prying will yield unexpected results. For, although they have never met, Selina March and Mary Maskelyne are connected by a shared family tragedy: a terrible act of unspeakable cruelty that took place in India fifty years before. The tower at Alwar was where Selina and the other children had been taken. They had tried not to watch the slow fiery dying of the sun through the horrid mean little windows of the hut, because they were trying not to think about the men shooting them at sunset. Christabel said it did not matter whether they thought about it or not, because it would not happen. It was absolutely impossible that their parents would let them be shot. They would arrange for those men to be let out of gaol, she said fiercely. It was not sunset when the men came to take them out of the hut, but it was not far off. It was dreadfully frightening to be herded into the cart again, but Christy said that probably they were being taken home. And there it was, straight ahead of them. A great rearing tower, at least fifty feet high, jutting up into the blood-splashed, dying-sun sky like a huge decaying tooth or a monstrous chimney. It was round and windowless and it looked as if it might be doorless as well, and it was old, it was so old that it might have been here for a thousand years, and as Selina stared up at it she felt cold and sick inside, and she thought: now I’m frightened. I was frightened quite a lot before, but now I’m really frightened. Looking at the tower gave you the same sickening pain you got if you wrenched your ankle while running fast, or the wincing feeling in your teeth if someone drew a nail across a slatey surface. And if the ogre sees us or hears us approach, thought Selina, in panic, he’ll come stomping down the thousand stairs inside the tower, and he’ll catch us and eat us up. ‘I can see the ledge,’ said Christy, after a moment, shading her eyes and staring upwards. Selina could see it as well. It was like a thick lip, near the very top of the tower. After a few moments, during which her eyes were adjusting to the brilliance of the sunset, she was able to make out other things on the ledge. Black shapes with beating wings against the sky. ‘Birds of prey,’ said Douglas, and then Selina understood what happened to the dead people who were brought out here. They were left on the ledge near the tower’s top so that the birds of prey could eat them. It was the ogre’s castle after all, and the birds were really ogres. And inside the tower were the tattered remains of all the humans that the birds had torn apart with their beaks and claws in order to eat them.